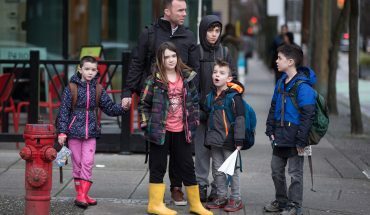 One of the biggest concerns when we first moved into our condo on the 29th floor of a downtown highrise was kid safety. 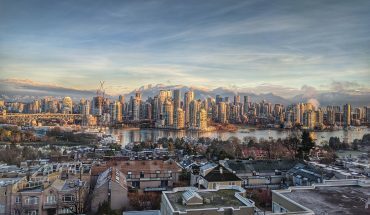 It’s a corner unit with floor-to-ceiling windows in every room, which is fantastic for letting in natural light and affording great views, but a little harrowing from a child safety perspective. 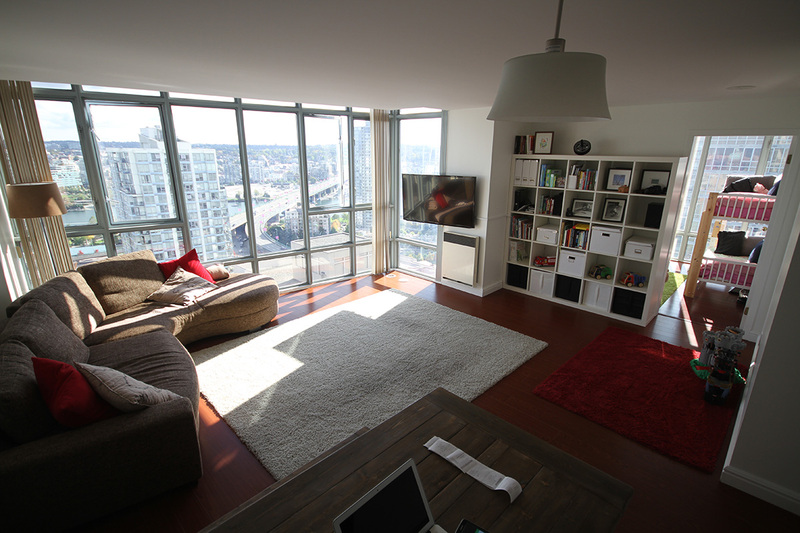 Floor to ceiling windows throughout the unit are great, but some precautions need to be taken. The openable portion of the windows in the unit start about four feet off the ground and have a door like shape and swing out. The issue was that when we moved in, they opened all the way out, in that sense mimicking a wide open door with more than enough room for even a skinny adult to slide through. 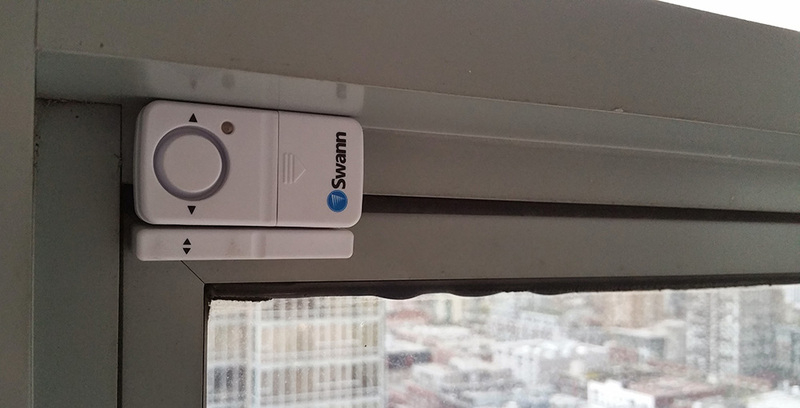 After a few weeks of keeping all the windows firmly double-latched and monitoring the kids nearly constantly, we figured out how to deal with the safety issue while still allowing us to open the windows for airflow. 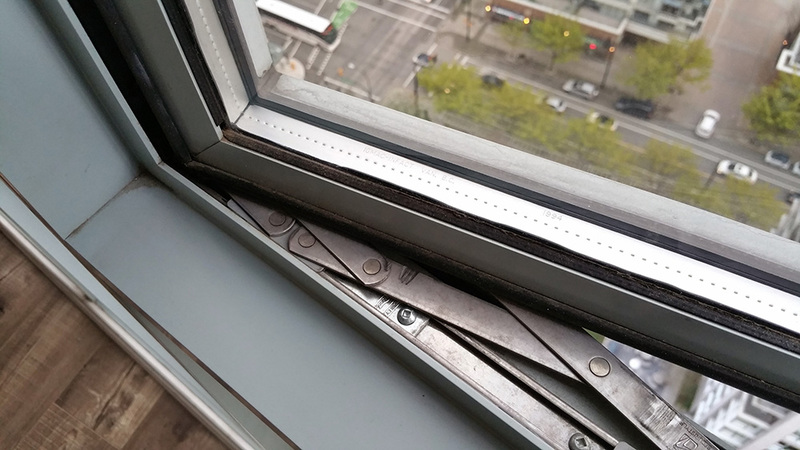 Range limiters, aka slide inhibitors, installed in window channel to prevent full opening. We brought in a window and glass company to install slide-inhibiting devices on each of the windows, allowing each to open just four inches before stopping completely. The result is a window opening wide enough to let in air flow, but narrow enough to prevent even the smallest kid – Tristan, the three year old – from sticking his head out. These alarms make a high pitched squeal if the kids ever open the windows on their own. As an added peace of mind measure, we also installed small alarms on the two windows that were nearest to the boys’ and girls’ bunks, where they might stand on a bunk to reach the upper handle (normally beyond reach). These alarms emit a high pitched shriek should the kids ever decide to open a window without our permission. Hasn’t happened yet! We still avoid opening windows near surfaces that the youngest can climb up on to gain an angle on the window, but all other windows are fair game. And in a city like Vancouver where the condos rarely have air conditioning (ours doesn’t either) the ability to keep windows open is crucial. The kids’ circle of fun: colour on the windows, then clean them off. 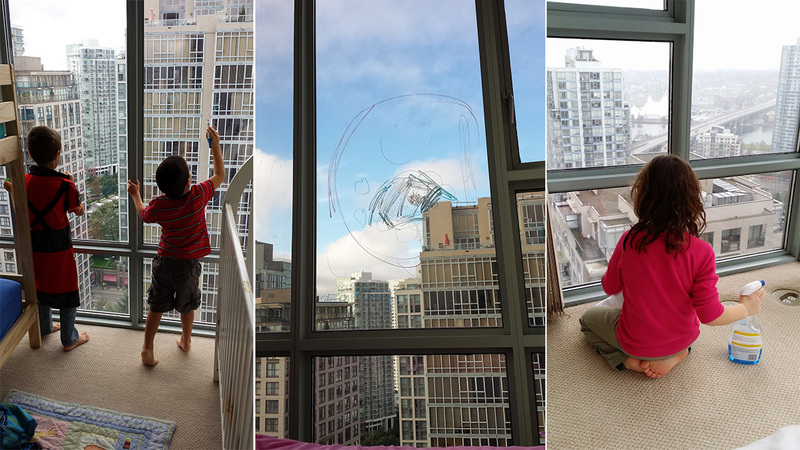 The other added bonus of floor to ceiling windows: colouring on them with erasable markers! And cleaning the windows afterward is just as fun for the kids, for some weird reason.